After becoming the most capped player in Nigerian history with 87 appearances, defender Joseph Yobo has said his joy will not be complete unless the Super Eagles win the 2013 African Cup of Nations trophy. “Yes, it’s natural to feel excited at such a record for anybody, but what will make the joy complete is for the national team to win well, that will make my joy complete,” Yobo was quoted as saying on Kickoff.com. The 31-year old Fenerbahçe centre back became Nigeria's most capped player in history when he led the team to goalless draw with Rwanda on Wednesday 29 February. 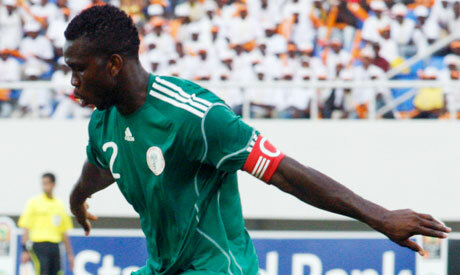 Yobo hinted that he was planning to retire from international football last year, but Nigeria’s failure to book a place at the CAN 2012 made him delay his decision as he wanted to win the competition before he retires. "If we had qualified for the Nations Cup, I would have retired after the competition, but I want to continue to win the trophy for the country in 2013."